*Preferred Lafayette Interior Fashions Dealer* Founded in 1939 by Bruno Movrich, Drapery Connection is a family owned company including a management team with more than 95 years combined window covering experience. The entire dedicated staff is fully qualified to assist you with the most simple to the most complex residential or commercial window covering and decorating needs. Each member of our team will strive to show, by our friendly attitudes, professionalism and prompt actions, that we want you to be a customer for life. We look forward to working with you on your decorating project. 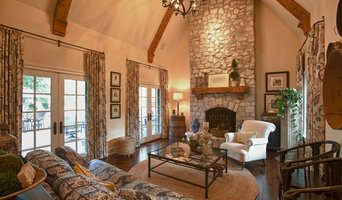 Our decorating experience insures your total satisfaction. Please visit one of our showrooms. We are located in Highland Park at 3160 Skokie Valley Road in Studio 41 and Hinsdale at 22 E 1st. Street. 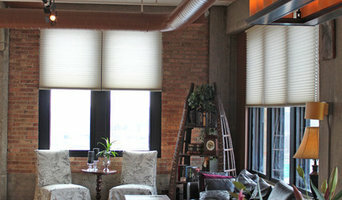 We are a Shop@Home business representing Hunter Douglas, Norman, Graber and other top quality brands. 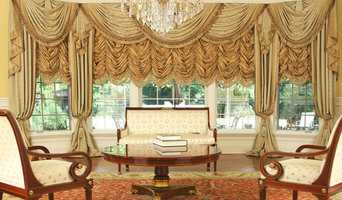 For custom drapery projects we have a network of contacts who are independent skilled seamstresses and artisans. *** "We blend sunshine, style, & science to beautify homes". *** To be accommodating, we'll bring our sample books and swatches to you for daytime or evening appointments. We are a local, family-owned business with extremely low overhead which let's us offer deeper savings to our customers. 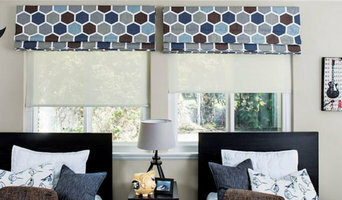 Our product portfolio includes: Blinds, Shades, Shutters, Sheers, Draperies, Roman Shades, Solar Shades, Roller Shades, Faux Wood Blinds, Honeycomb / Cellular Shades, Awnings, Bedding, Pillows, Headboards, Valances and Cornices. Web Decors by Donna Webster A.S.I.D.